Chicago, IL – February 17, 2016 – American Street Capital (“ASC”) announced today that it has arranged $1.48 million in financing for a 9-unit multi-family property in Miami, FL. 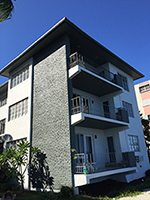 The property is located in the Upper East Side neighborhood of Miami. The loan was a sizeable cash out through permanent financing to take out a bridge loan secured by ASC in December, 2014 to acquire, renovate, and reposition the property. ASC successfully secured financing that included an 80% loan to value, a non-recourse structure, 5-year ARM on a 20-year term, assumable debt, one year of interest only, a start rate below 4%, and 30-year amortization payment schedule. This demonstrates ASC’s ability to arrange competitive institutional bridge and permanent financing solutions nationally for small balance requests typically only available for loan requests above $3 million dollars.